7 Sunshine-Filled Events To Add To Your Diary This Spring! Let’s be real for a second, okay? Winter in Queensland is great: it’s not humid, there’s no storms that have you illegally parking your car in someone’s car park, and there’s certainly a distinct lack of constant upper lip sweat. However, if we said we weren’t seriously keen for the warmer weather to come back again we’d be lying. A sure-fire way to get us out of the aircon this summer? A venue that’s doing epic drinks, a sunshine-filled patio, and a bunch of our best mates. Lucky for you, we just so happen to have the skinny on some of this season’s best events to totally Refresh Your Spirit as we roll into the warmer months, and have you chucking your woolly jumpers and Uggs into storage (or that part of your wardrobe you can’t really reach—same thing). We’ve teamed up with our pals at Beam Suntory and Coca-Cola to make sure this spring is the best season ever. Keep reading if your social calendar is a little on the empty side, ‘coz we’ve got you: here are seven events to check out, ASAP. 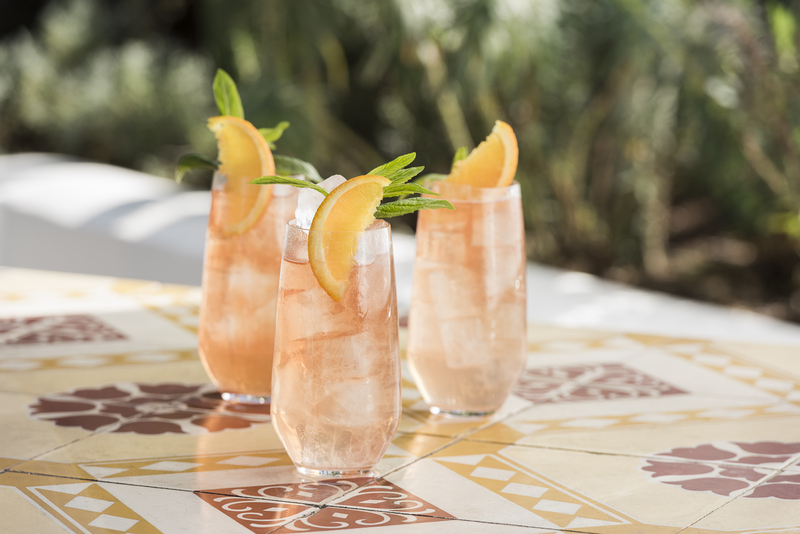 PS—each of these venues will be putting on a seriously ~refreshing~ cocktail that's made exclusively for sharing with your bestest pals. 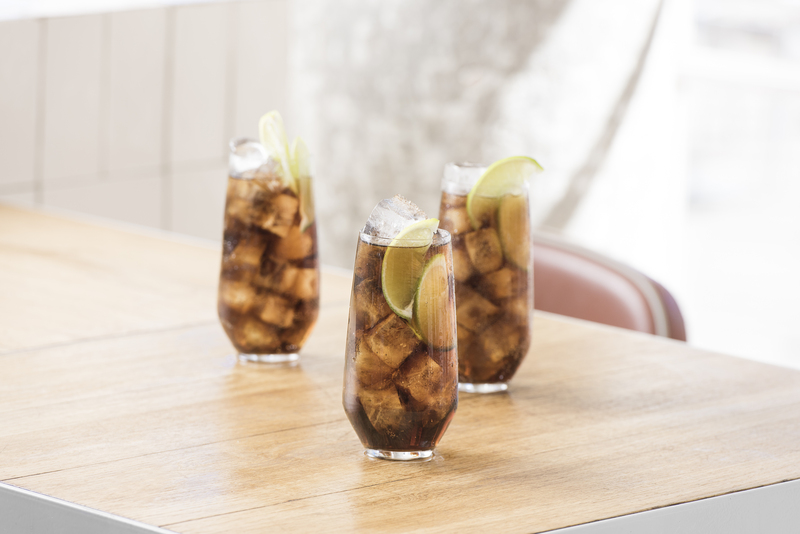 Allow us to introduce the Café Cuba Libre which is obviously going to be your drink of the summer because listen to how delicious it is: it's your classic rum highball with the brand new Coke Plus Coffee. It's pretty much the most adult iced-coffee going.It's sitting pretty below if you want to tantilise your taste buds a little. It launches on October 16 so add it your diary now. Obviously, you can never beat your own birthday party, but a whole week of celebrations with food, deliciously mixed spirits (hello, Sipsmith Gin and Cascade Tonic! ), and BBQ master really can’t be beaten. The Norman Hotel (aka Brisbane’s worst vegetarian restaurant) will be throwing a week-long shindig for their 128th birthday—as all 128-year-olds do. The week will feature a neighborhood party, a biiiiig lunch, a family fun day, and not one but two BBQ masterclasses. Jeez, they don’t do birthdays in halves, do they?! #2 Laneway Is Back, Baby! Warmer weather = festival season. Amazing live music, a gin and tonic in hand, and your bestest friends surrounding you?! Yes please! Laneway is one of the more ~chill~ festivals and one that is on our list every year. So when we realised it was almost time for Laneway again, we got pretty excited. Just don’t sleep on getting your tickets, okay?! Melbourne Cup is one of those things that you always, always leave to the last minute. What would you do if we told you that we’ve found a Melbourne Cup event that’s so much fun you’re going to actually get organised this year? For one, it’s hosted at Cloudland which is one of Brisbane’s most luxe venues. Your ticket will include access to a hefty beverage package, live entertainment, and a day exploring every magical corner of Cloudland, plus, of course, the race up on the big screen. See you there, then? What if we told you we know about an Italian spot that possesses not only a menu filled with delicious pasta (topped with crispy halloumi, FYI), charcuterie boards, an outdoor, sun-drenched court yard, and a pretty ridiculous drinks menu? Look, any menu with a section for when the boss is paying is a winner in our eyes, but it even features a bevy of classic and exotic spirits and even a drink named “cocktails in our activewear”—so, safe to say sunshine drinks at Corbett & Claude are in order, stat. Did you even October if you didn’t go to Oktoberfest?! Nope, defs not. Brisbane’s Oktoberfest celebrations are pretty epic, so add them to your diary. It’s Australia’s largest German festival, too. So, get your best Oktoberfest dress-ups out, and prepare yourself for a lot of beer, a lot of sunshine, and a seriously good time. Brisbane. Has. A. Burger. Festival. We’ll just let that sink in for a second. The event is popping up at The Triffid and will dedicate the entirety of Stratton Street to Brisbane’s best burger joints for one magical day. We’re talking Ze Pickle, Miss Kay’s, Ben’s Burgers, Mr Burger...the day will even end with the definitive crowning of Brisbane’s best burger. Surprise, bingo is actually fun and not just for our senior citizen friends. Especially when drag queens are involved. The Empire Hotel hosts Ball Queens Bingo every Wednesday night and just between us, you’re probably going to want to check this one out. With a $100 venue voucher to be won, and double entendre flying around, you’d be pretty silly if you didn’t add Ball Queens Bingo and a G&T to your to-do list. Need even more inspo?! Check out more epic venues involved in the Refresh Your Spirit event series. Spoiler alert: they’re freaking cool. Editor’s note: this article was produced in partnership with Beam Suntory and Coca-Cola and wholly endorsed by The Urban List. Thank you for supporting the partners who make The Urban List possible. For more information on our editorial policy, click here. Refresh Your Spirit is a trademark of the Coca-Cola company. Image credit: images provided by Beam Suntory and Coca-Cola.